Essential Oils As A Spiritual Practice? In walking a path of spiritual growth and ascension, daily spiritual practice is essential. Meditation, mindfulness, and conscious breathing are core spiritual practices that seem to come into play in one shape or another for most people on a spiritual path. But do essential oils really fall into this same category? Before I talk about that specifically… Let’s take a quick look at what a spiritual practice actually is. In its simplest sense, a spiritual practice is something you do on a daily basis, which brings you into closer alignment with who you really are. In other words a spiritual practice draws you deeper into your authentic Truth as a Divine spiritual being in physical form. There isn’t only one or two things that meet the above criteria, and really, a spiritual practice can be anything that positively impacts you in a spiritual way. When you think of “spiritual practice”, your mind may immediately think- “spiritual.. ok that must mean yoga, meditating with mala prayer beads, chanting, etc”. It’s true, these are powerful spiritual practices for many spiritual seekers, but what works for some people as a spiritual practice doesn’t work for others. Practices like painting, gardening, hiking in nature, and sewing, dancing or playing an instrument can be meaningful spiritual practices for certain people. 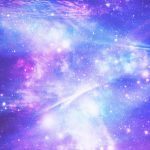 What makes a spiritual practice “real” and meaningful is not as much about the specifics of what you are doing, but rather the spiritually connecting qualities what you’re doing evokes in you. The practice part comes into play because as you continue to practice the activity on a daily basis, your spiritual experience within it becomes deeper and more profound. So How Are Essential Oils A Spiritual Practice? In the past 5 months, I have really integrated using essentials in my life as a daily spiritual practice, and I am noticing incredible benefits. If this is surprising to you, I can understand why… Most of the education around essential oils speaks about their practical use in providing physical and emotional healing, and the story ends there. It’s true that essential oils do offer a natural alternative, and can be used to supplement traditional medicine and even replace pharmaceutical solutions in some cases. But there is even more to essential oils than most people are teaching. Historically essential oils were absolutely used as a powerful medicine cabinet direct from nature, but they were also used in sacred ceremony, ritual, and as a spiritual practice. 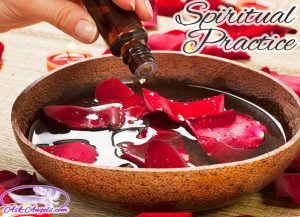 This spiritual side of the oils is what I really love exploring through my daily practice of using them. 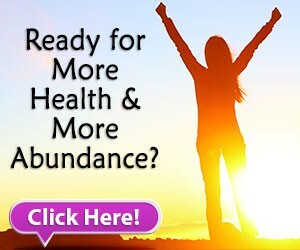 In addition, the fact that there are simultaneous health benefits from using essential oils is a great bonus. Scientifically essential oils have been shown to carry the highest vibration of any substance measured. When you come into contact with these high vibrational oils they have an uplifting effect. Using essential oils as a daily spiritual practice is really super simple, and involves either wearing them, ingesting them (Young Living essential oils only! ), or diffusing them to surround yourself with their high vibrational frequency. To give you a specific example of how I use essential oils as a spiritual practice, I like to start my day off with a glass of water with a few drops of Lemon Essential Oil (I use Young Living as most other brands of essential oils aren’t pure enough to safely ingest). As I drink the water I feel the vibration of it, and remind myself that I too am a high vibrational spiritual being, and I experience this Truth. A bit later in the day I’ll put a couple of drops of an oil like sacred frankincense, abundance, or lavender in my hands and rub them together. I then bring my hands up to my nose as I enjoy the scent and take a moment to just feel and experience the unique uplifting vibration. I’ll then rub my hands on my neck, heart chakra, or run them through my aura. Finally, throughout my day I keep my essential oil diffuser running. This fills my home or office with a beautiful uplifting scent, and when I notice the vibrational frequency of the essential oil, it reminds me of my Truth as a Divine spiritual being in physical form. I also like to use specific oils to help shift my energy if I do find myself slipping into any lower vibrations. Ultimately, essential oils have become a fun and powerful practice for me to realign with my inner Truth and spirit throughout the day. They are also wonderfully complimentary to other spiritual practices I use like meditation, channeling, and connecting with nature. If you are interested in using essential oils for yourself… Click here to learn about a special offer for Ask-Angels.com readers to get essential oils at a discount, while also receiving free angel messages and meditations as a bonus. What am I talking about? Click here to learn more. Dear Melamie thank you so much for all spiritual description help that I have been receiving. Regarding meditation is so important to one for various spiritual, mental and physical benefits. You don’t need to be a guru in meditation to be able to achieve anything you desire. Meditation is such a simple exercise without any major effort. It only takes some mental and physical relaxation and some focusing on the desire needed to achieve. you can practice anywhere and at any time day or night. Yes, any type of natural herbal or flower incense pleasant fragrance it will help in a meditation, it has a certain type of calm that blends well with the human senses. By making a pleasant relaxing atmospheric feeling, that is excellent for a meditation. Thank you so much for the meditations and wonderful blessings, I received some oils recently from someone dear to me and they really do help daily. I thank u so kindly Melanie for all your free meditations to me. It helped me so tremendously. You have surely come to me as a blessede angel in disguise. Love you lots! Take care! this really appeals to me. I’ve had a look at the Young Living European site, and feel very interested in both using the oils myself and creating a business around them. Does your offer apply only to those based in the US, or could it also work from someone like me based in the UK?